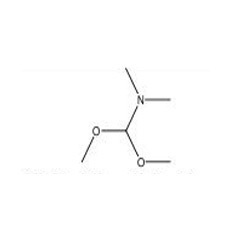 The quality approved range of N,N-Dimethylfarmamide dimethyl acetal (DMF-DMA) is used in various industry application for different process. Our entire range of chemicals are very pure and confirm to the defined quality standards. Furthermore, we pack all our chemicals hygienically, so as to prevent these from any contaminants and impurities.